What’s good? It does what it says on the tin: lays down a thin, non-sticky film that doesn’t easily fling off. I like it. Chain lubes are a largely a matter of personal preference. You can get dry, sticky ones (which don’t make sense to me, because they pick up grit) or thin, oily ones. This one is among the thinnest and oiliest. It’s easy to moderate the pressure to keep wastage to a minimum, and the lube creeps over the links to form an anti-corrosion barrier. To my mind at least, a wet lube is better than a dry one to keep o-rings in good condition. And because this stuff is light it doesn’t fling off much. I’d never heard of XCP until this year. They’ve been going since 2010, but originally came from the print industry where their parent company developed anti-corrosion treatments for printing presses. What’s not? You can get exactly the same performance for less money and environmental harm with a squeezy bottle of EP90 gear oil. I’ve used this technique for the last decade and it’s as good as any. 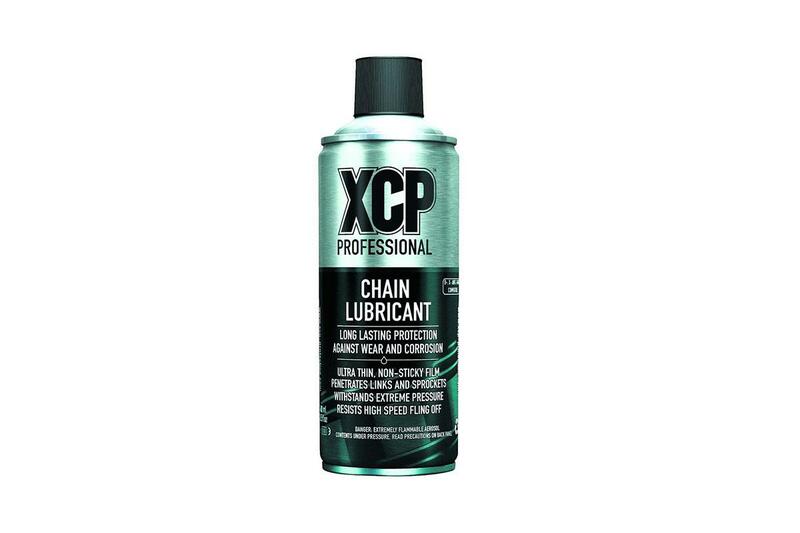 But as aerosols go this XCP is excellent.